Image can be selected from a media library or can be set with external URL. 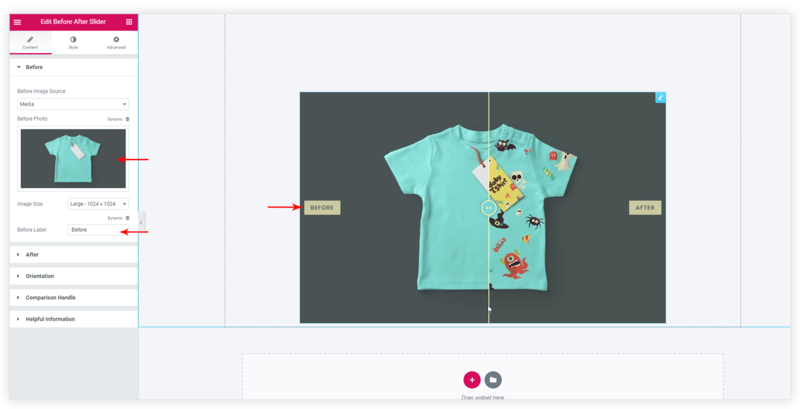 Along with images, you can add a label that will display on an image. Orientation will set a direction for the slider. 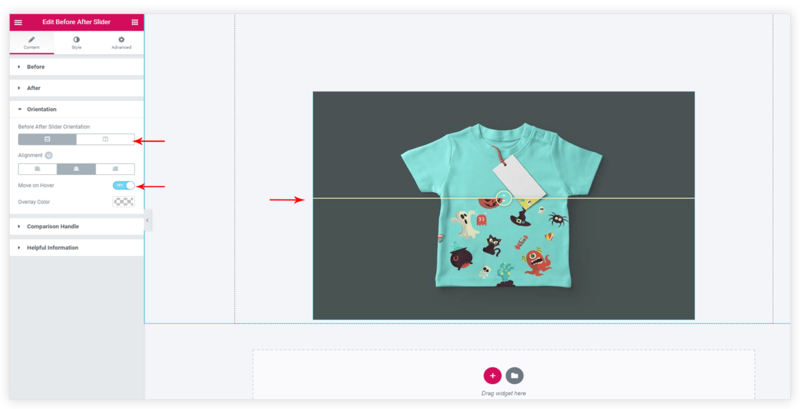 Slider can be moved vertically or horizontally over a image. Orientation tab also has options to set overall alignment for the images. 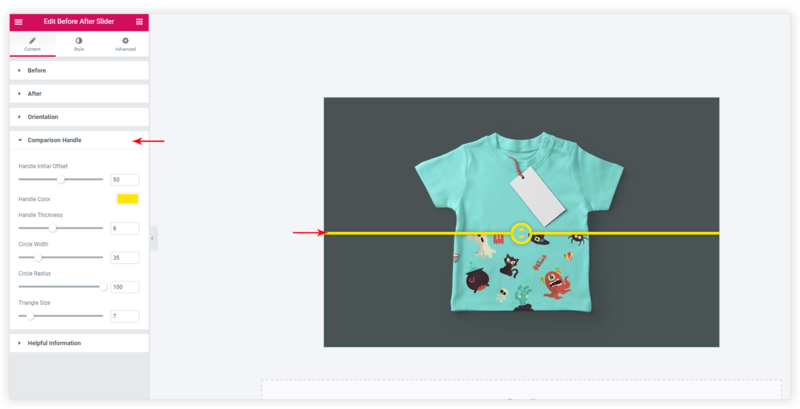 By default a slider needs to be clicked and dragged along the edges of the images. But with Move on Hover option slider can be moved with mouse hover. This tab contains all options to customize the slider handle .